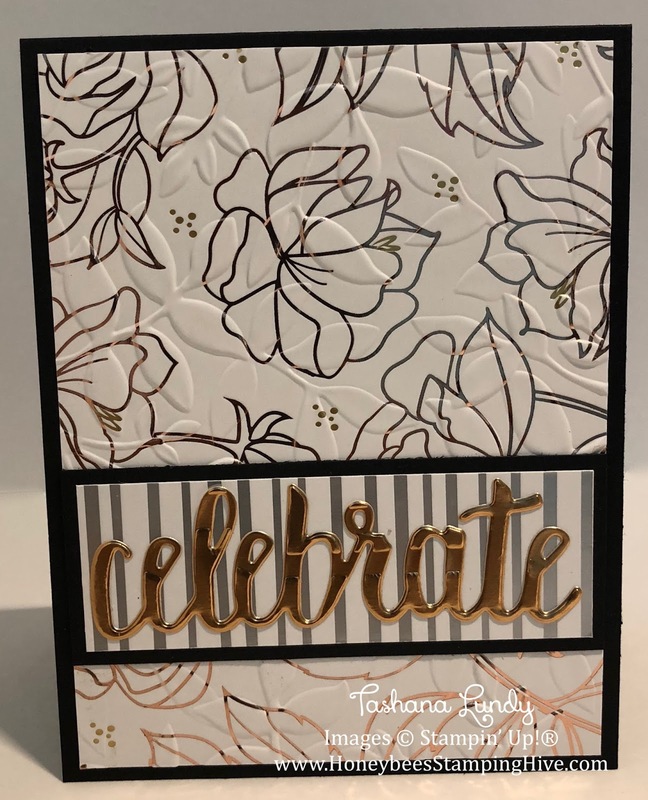 Here's another card where I embossed the Springtime Foils SDSP and used it as the background. When you use this paper to make a project it does most of the work for you. 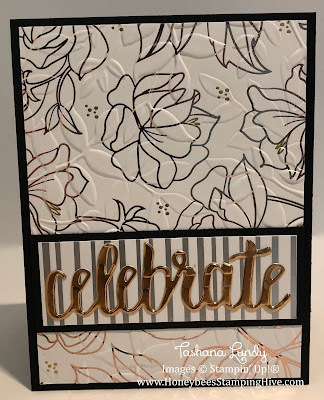 I decorated the card using a strip from another sheet in this paper pack and die cut the word "celebrate" using the Celebrate You Thinlits in Copper Foil.